Submit your assignment as Dance Ballet – Assignment 4. Remember to include your HOL Name, HOL ID and House at the top of your e-mail, and please don’t send your homework as an attachment. Thank you!!! ​1. It premiered at the ___________________ in St. Petersburg, Russia, on _________________. 2. The story starts on _________________, where Clara’s family and friends gather to _______________ the Christmas tree. 3. At the first performance of The Nutcracker, the roles of ______________ and the Nutcracker Prince were played by _______________. 5. After the ________________ retells how Clara had helped him return to his own self, a celebration of ________________ to honor Clara the heroine begins. ​1. Sauté refers to a whirl or spin. 2. The Nutcracker and the Mouse King was a book written by Alexandre Dumas and adapted to the ballet by E.T.A. Hoffman. 3. Drosselmeyer is a magician and Clara’s godfather. 4. The celesta is the musical instrument we can hear in “The Waltz of the Flowers”. 5. Rond de jambe is a circular movement of the leg. 6. When The Nutcracker was first produced, the music was a success but the story and production weren’t. 7. The original story of The Nutcracker is much darker than the ballet. 8. Tchaikovsky like The Nutcracker’s score more than the score from Sleeping Beauty. 9. The Nutcracker is divided in two acts. 10. The sweets that honor and celebrate Clara are Chocolate, Coffee, Candy Canes and Lollipops. Which was your favorite part from Clara’s dream? If it were your dream, would it be similar or what things would have changed? There is no right or wrong answers! Please post your answer in the correct thread in our Class Forum. In The Nutcracker, one of the protagonists of the story is, of course, a nutcracker! For this assignment I want you to please do a further research on NUTCRACKERS. Their origins, what were they used for, what do they represent, and any other important information that you can find. Please cite all of your sources. Make your report at least 200 words long for full marks. Solve the following jigsaw puzzle. When you are done, please take a screen capture of your finished puzzle and submit it to an image hosting site like Photobucket, and then send me the link to your picture. Your Nutcracker! 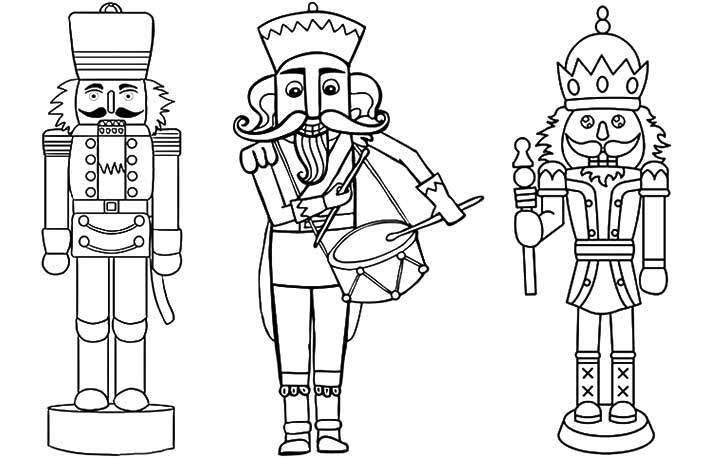 Now it is time to design your very own Nutcracker! You can use any mean of art you want: a drawing, a graphic, a sculpture. Be creative! Please do not send your work as an attachment, submit it to an image hosting site like Photobucket, and then send me the link to your picture. Your Christmas Story! As we already know, The Nutcracker is set on Christmas Eve. Now it is your turn to write your very own Christmas story! Think about all the imaginary and elements of this time of year. Think about the feelings and emotions the Holidays produce. Inspire yourself with some Christmas Carols. The sky is the limit! Just make sure that your story is at least 300 words for full points. ​There are a lot of variations and productions of The Nutcracker. For this assignment I want you to please watch your favorite Nutcracker movie. It doesn’t matter if it is an animated movie, real action movie, or even the ballet! Done? Now, please send me the three screen caps of your favorite scenes along with a brief explanation of why they are your favorite. Please do not send yours screen caps as attachments, submit them to an image hosting site like Photobucket, and then send me the link to your screen caps.